Flowmech are specialist manufacturers of heating and chilled water sealed system pressurisation equipment, take the central heating pressurisation unit for instance. 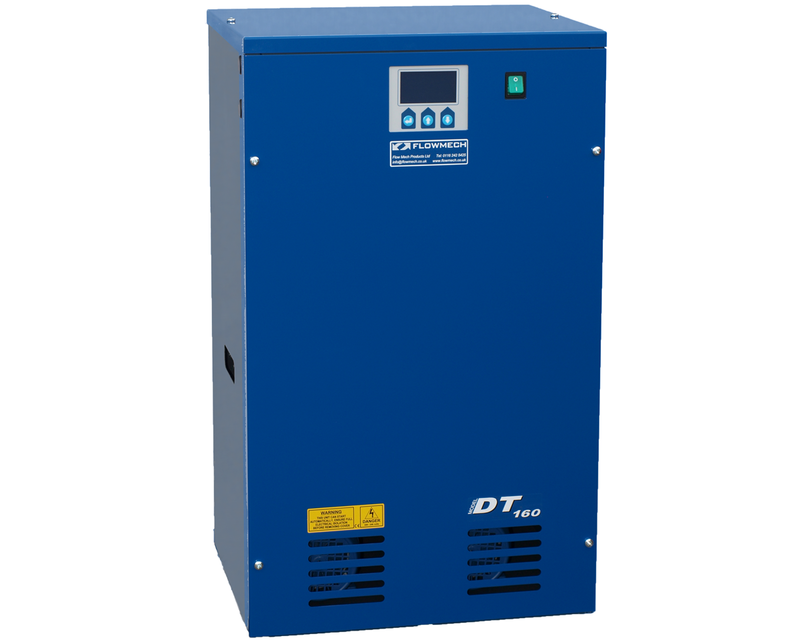 We have a complete range of new digital pressurisation units. These include the smallest wall mounted units which have a full-size peripheral pump (DM-126) and the floor mounted single pump (DS-126) or twin pump (DT 126) with a cold fill pressure up to 2.6 Bar. The single pump high-pressure unit (DS160) & twin pump high pressure (DT160) deliver up to 6.0bar and cold fill all units- offering flood protection, anti seize pump pulse, excessive start alarm & volt free contacts. The latest development from Flowmech is the DT226/260 twin system unit that will pressurise two independent systems from the one unit. What is a pressurisation unit? It’s designed to replace any water that has been lost through draining of or a leak in the system. We supply the pressurisation unit to suit a wide range of applications and pressure requirements. The Flowmech range of pressurisation units is highly efficient with easy control navigation that allows you to control your equipment effectively. 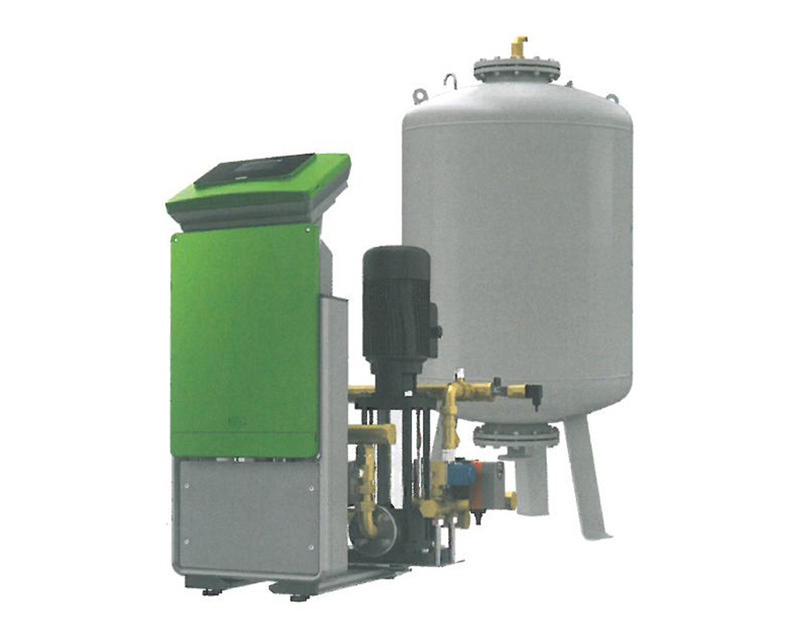 How does a pressurisation unit operate? 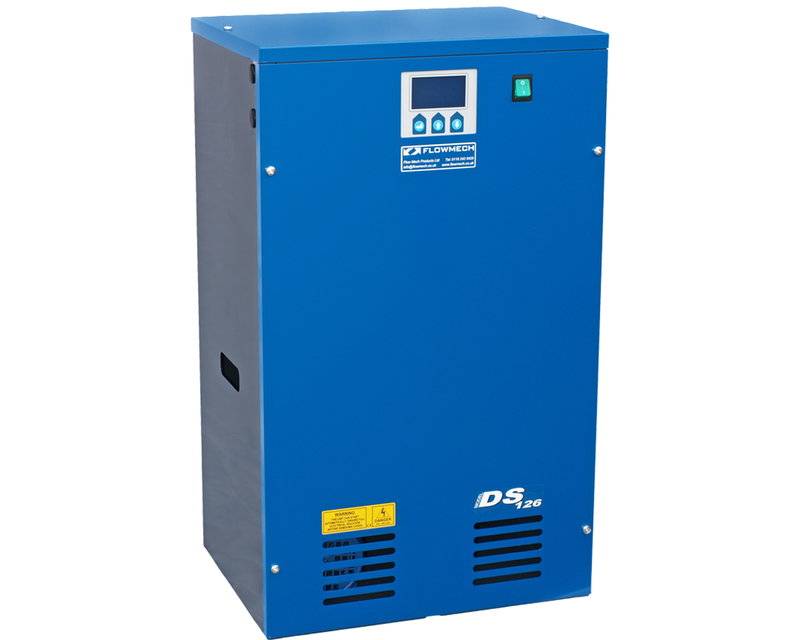 Our pressurisation units are used to monitor pressure. They are designed with the needs of domestic, commercial and industrial customers in mind- hence why they are easy to operate. The heating pressurisation unit monitors the central heating or chilled water system pressure by means of a transducer and has a peripheral pump that generates water pressure. If the system pressure drops below the set point the pumps top the system up and if the pressure in the central heating system is too high or too low, the pressurisation unit can disable the circulating pumps and the boiler to eliminate damage. When a leak occurs, the central heating pressurisation unit is used to replace the water and bring the pressure back to a rate where it’s safe to operate. How can you benefit from a heating pressurisation unit? If you’re experiencing problems with your central heating system, a heating pressurisation unit is ideal. Not only are our units priced affordably to ensure that you receive the best value for your money, they are also guaranteed to keep your maintenance costs down. Our heating pressurisation units are also designed to monitor and control pressure automatically and ensure that your central heating system is topped up with water pressure. The central heating pressurisation unit is designed to be compact and is sealed to resolve problems with open systems. 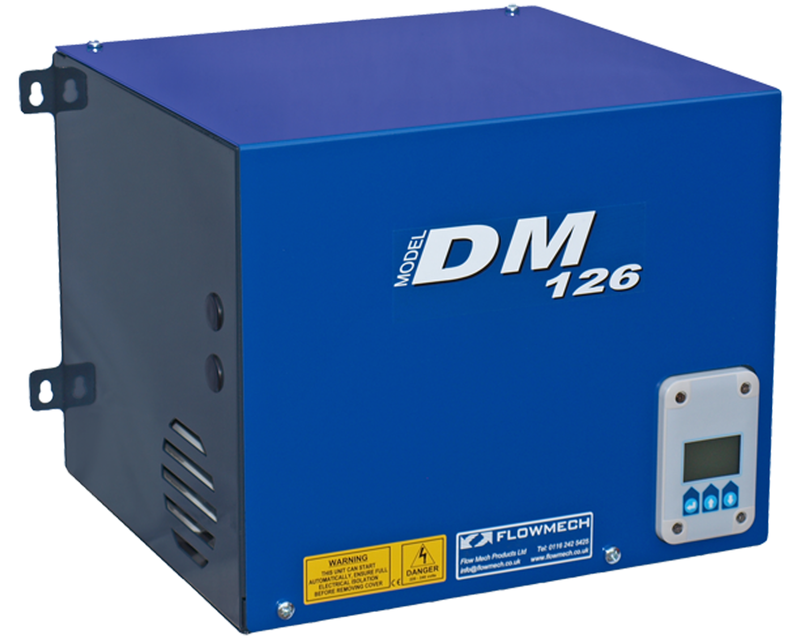 The DM 126 is an example of one of the wall-mounted single pump pressurisation units that we provide at Flowmech. This pressurisation unit is easy to programme and navigate and offers low water cut out and service reminders- making it highly efficient. Here at Flowmech, we provide a wide range of floor mounted and wall mounted units and the DS 126 is just one example. We aim to provide units to suit all applications, so if you’re looking for a single pump, consider the DS 126 or, for a twin pump, the DT 126. The DS 126 and DT 126 have WRAS approved ball valve & break tanks and provide great accuracy, control and reliability. When choosing a pressurisation unit, you’re in capable hands with Flowmech as we hold an extensive stock of fixed air charge expansion vessels. What’s more, our technical sales team have a wealth of experience and can offer advice to ensure you select the right sealed system unit for you. Our service/commissioning department offers complete after sales care for any customers who purchase our own sets, as well as those from other manufacturers. Browse our range of heating pressurisation units today. Economically priced compact wall mounted unit incorporating WRAS listed mains connection, full sized pump with anti-seize feature, system pressure gauge. VFC interlocks for high & low pressure, pump fail, low water, flood alarm & excessive starts. Competitively priced floor or wall mounted pressurisation unit with Single (DS) or Twin (DT) pump option easy navigation. Digital display settings & faults, system fill mode. WRAS listed type AA air gap mains connection. VFC interlocks for high & low pressure, standard fill pressure - up to 2.6 Bar. Competitively priced floor or wall mounted pressurisation unit with Single (DS) or Twin (DT) pump option easy navigation. Digital display settings & faults, system fill mode. WRAS listed type AA air gap mains connection. VFC interlocks for high & low pressure, digital High fill pressure - up to 6.0 Bar. Totally sealed Close control sealed fill/spill systems; Compressor systems maintaining a 0.2 bar system pressure increase. Spill valve/pumped systems maintaining 0.4 bar system pressure increase. Sets available with degassing.